IT’S a part made for actor Leslie Phillips, star of Carry on Nurse. But remarkably this role comes on the NHS. For our hospitals, it seems, are busy recruiting actors to play disgruntled patients. In this latest wheeze to test the bedside manners of doctors applying for senior posts doctors will have to face 15 minutes in front of a patient from hell played by an actor. I caught notice of this amusing innovation on the net message board of a junior doctors’ online service. The idea comes as doctor recruitment in the NHS reaches turmoil – exposed by this column earlier this year (Doctors on the march against NHS reforms, February 1). Money poured into the NHS has been largely frittered away on bureaucracy and expensive outsourcing while thousands of junior doctors, using an online questionnaire system for the first time, have discovered that nearly one third of highly qualified doctors have not even been shortlisted. There are dozens of experienced junior doctors, known as Senior House Officers, who have not been shortlisted in hospitals in central London, including the Royal Free and the University College London Hospital. Quite a few doctors didn’t bother to apply for jobs in the London region on the assumption that competition from competing candidates, top-rated with published papers in prestigious medical magazines, would swamp their applications. They were forced to apply for jobs as far as Manchester and Glasgow even though it would upset their domestic arrangements. What they didn’t know was that under the new online system the criteria had been changed. Lower marks were given for qualifications, and higher marks for good English and ability to deal with the public. These doctors will know their fate on April 21. If they fail, they will have one more chance to obtain a job by taking part in the second cull of job applications due on April 28. The recruitment turmoil means that up to 30,000 junior doctors are applying for only 20,000 posts. As a result many of them will fail to make the grade for the big upward step to consultancy. The new emphasis on personal skills comes in the shadow of the tabloid frenzy over Dr Harold Shipman, the GP convicted of murdering hundreds of his patients. Lurid headlines in the tabloids about doctors’ mistakes also helped to stoke up a decision, probably taken on high at the Department of Health and among the senior Royal College figures, that enough was enough and more should be done to weed out future problem doctors. This is what I think lies behind a new test for juniors emphasising “tree hugging” questions aimed at building a picture of the doctor’s personality. Answers that suggest a doctor is showing an imbalance in personality may well condemn him. What it comes down to is whether you would prefer to be treated by a bad-tempered doctor, something like Sir Lancelot Spratt in the Doctor films, but one with superb medical skills. Or by a doctor, as sweet as an angel, but pretty hopeless at medicine. 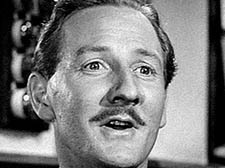 It will take the comedy star Leslie Philips, who recently appeared in the hit film Venus, to see the funny side of it. Meanwhile, angry juniors are taking to the streets for the first time on March 17. Whether this will persuade the powers that be to suspend the whole messy business remains to be seen. On Tuesday, Health Minister, Lord Hunt, in partial retreat, announced there would be a review of the system. But opponents say this is too little too late. I BUMPED into a rather tired-looking and unshaven Andrew Mennear at a meeting in Haverstock School on Monday. It turns out that the Tory councillor for Fitzjohn’s had just flown back from Antarctica after a life-changing 15-day expedition with explorer Robert Swan, the first man to walk to both the North and South Poles. Swan now leads annual expeditions to the Antarctic to raise awareness of its issues and Cllr Mennear, who works as a political advisor to BP, was lucky enough to be selected for the latest trip – alongside some 50 other nationals from around the world. “It was absolutely incredible,” he told me. “I never dreamt that I would go to Antarctica. I had never ever gone camping in my life and here I was camping in Antarctica. WHEN Bill Moore paid his first visit to the KoKo nightclub at the age of 84, he was unfazed by the glitz of the newly opened venue. Flower-seller and fruiterer Bill Moore, who died this week aged 86, had become a much-loved and familiar character to generations of clubbers at the KoKo and its predecessor, the Camden Palace, on Camden High Street. When KoKo opened, the club made sure to include his stall outside as part of their design, and clubbers or passers-by, customers or not, were guaranteed a cheerful word. But his links with the borough ran deeper and longer than that. As a boy, he had helped his mother run a florist in Mortimer Street, fetching bouquets for the patients at Middlesex hospital, and he went on to have stalls on Tottenham Court Road and at Euston Square. His main concern, and his life’s work, was his fruit and flower shop in Stanhope Parade, in the Regent’s Park estate, which was known to hundreds for nearly 50 years – not least for the ventriloquist’s dummy which greeted his luckier customers. Today (Thursday), Stanhope Parade will come to a halt as a mark of respect to his entourage, which leaves his flat above his old shop at 2pm on its way to Islington Crematorium. William Moore, known as Bill, died on Wednesday after a short illness. His wife, Rose, passed away some years ago, and he leaves a son, Brian Moore, and five grandchildren. I SPENT an enjoyable afternoon two Saturdays ago meandering through central London with 20,000 others at a demonstration against the updating of Britain’s so-called nuclear deterrent. And I am pleased to report the anti-nuclear brigade is in rude health. I marched with groups which included Musicians Against Nuclear Missiles, Grannies Against Trident, and Boffins Not Bombs, recalling friendships which were forged during the height of the Cold War. What also struck me was the large numbers of young people marching, and very few of them seemed to be affiliated to the usual, politically tuned-in student groups. It seemed many had turned up on their own, and just wanted to express their distaste at New Labour’s embracing of something the party has traditionally campaigned against. The debate is set to get hotter this week. A report from backbench MPs yesterday (Wednesday) criticised the government for failing to answer “fundamental” questions over the implementation of the system, which could cost up to £76 billion, while next week the debate will be cranked up a notch when the House of Commons debates the plans.